Congratulations to Amy P., the winner in Jacquie's giveaway. Thank you to all who participated! I welcome Jacquie Biggar to the blog today. Jacquie owned and operated a restaurant in her hometown of Edson, Alberta for thirteen years before moving west to Victoria to take care of her grandson and pursue her dream of becoming a writer. She joined Romance Writers of America, Kiss of Death—an online suspense group, and her local chapter, VIC-RWA, of which she currently holds the position of secretary. “How did you find me?” Sara fell back as Tom pushed his way inside, followed closely by Sam, and then she caught sight of Fiona being led in by two other men. Her friend was cuffed, her arms pulled taut behind her back. Her mouth, covered by a bright red handkerchief tied so tight it cut into her whitened cheeks, highlighted an obscene bruise. Her eyes, one of them black and blue, filled with tears, begging Sara to forgive her. He looked the same, so tall and handsome standing there in his perfectly pressed suit and tie, not a hair out of place. A wolf in sheep’s clothing. It was so obvious to her now. The narrow, cold eyes, the supercilious attitude, the rigid stance, the not-so-well-hidden-anger, had he always been that way? She didn’t like to think so. How could she have been so wrong about him? He’d pulled the wool over her eyes from the beginning. 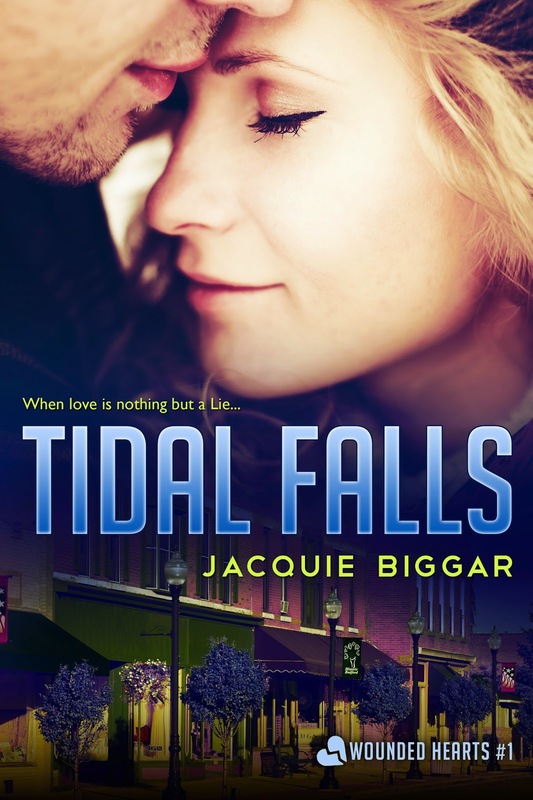 In celebration of the holidays I’d like to offer one lucky commenter an autographed copy of my book, Tidal Falls and a $10 gift card to their choice of Starbucks or Tim Horton’s. Giveaway ends 11:59pm EST December 30th. Please supply your email in the post. You may use spaces or full text for security. (ex. jsmith at gmail dot com) If you do not wish to supply your email, or have trouble posting, please email maureen@justromanticsuspense.com with a subject title of JRS GIVEAWAY to be entered in the current giveaway. Wow, we're almost neighbors :) Thank you for your support, I hope you enjoy the book. My daughter and grandson went skating with the elves on Christmas eve, truly magical, but then Vancouver Island is, isn't it. Thanks for stopping by. Hi Debbie, I agree. My favorite are series authors. I love finding one new to me, with a whole new world to explore :) Good luck. Enjoyed reading the Q&A! I really like the sound of your book Tidal Falls. Thanks for sharing a bit about it with us! Good morning Colleen, thanks :) It's nerve-wracking putting yourself out there for people to get to know, lol. Thanks for the kind comment about my book. Great interview. All the best in 2015, Jacquie. Hi Anna, thanks for stopping by :) Wishing you all the best in the new year also, my friend. I enjoyed your interview. It really helps to learn more about where you get your ideas and just how talented you are . Editing sounds like a real pain! :) After reading the excerpt from this book I definately have to read it. Amazon, here I come. Thanks for the chance to enter your giveaway! Happy New Year! Thanks bn100, appreciate you stopping by. Sounds like a great read! Being a pantser is kind of fun - you never know what's going to come next! Love this review site! And good luck with the book. So true! Sometimes the words flow easily, and other times I have to pull them out with a vise-grip, lol. Great interview, Jacquie! The bit about your favorite part of writing? I totally agree!! Hi Elizabeth, thanks for commenting :) Congrats on your upcoming release of Vanished, so proud of you! Great interview! I wish you all the luck in the world with this book. It sounds fantastic!!! Hi Julie, thank you :) The words every author wants to hear! Enjoyed the interview. Do your characters ever refuse to do what you want them to? Great interview. I loved your book so it is interesting to get some insight into how you developed the plot and characters. Good luck with it. Hi Sylvie, thanks for your kind words. So far I'm still at the 'this is fun' stage of the game. I hope to never lose that, writing should be as enjoyable as reading. Super interview Jacquie! This is quite the exciting business -the land of the indie author. All the best with Tidal Falls. And I hope you have a fabulous 20l5! Awesome interview! Loved getting to know Jacquie better. The book sounds wonderful, what a great excerpt! Totally got me hooked. I like your title. And, congratulations! Always enjoy reading snippets from books and this one really sounds interesting! Best wishes with the book...I'm covered up with new ones to read so let someone else have this one. Great interview, Jacquie. Always fascinating hearing about an author's writing process. Love love loved reading your first novel! I can't wait for #2! Makes me so proud to hold up my signed edition! Wishing you and your family health happiness and prosperity in 2015, love you bestie! Hi Janice, thanks for your kind words. I always cringed at bad spelling also, though I sure find I second guess myself more now as I get older than a few years ago, lol.